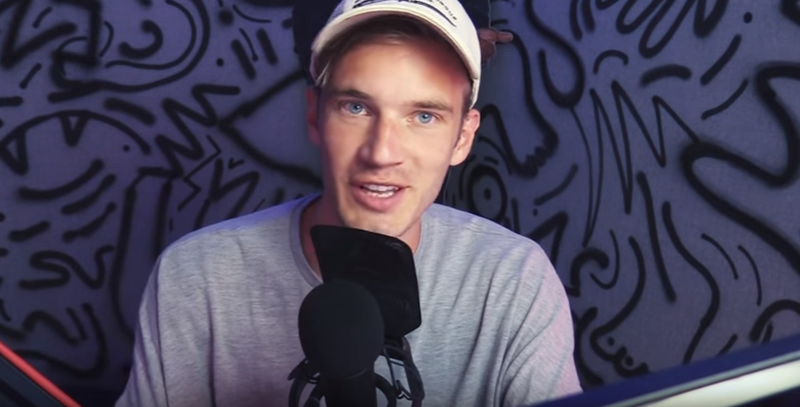 Pewdiepie To Overeager Fans: "Don't Come To My House"
Pewdiepie is right of course: he is still entitled to his privacy even though he’s accrued millions of fans. At the same time, YouTube’s entire appeal lies in the fantasy that viewers get to know their favorite personalities moreso than they would a traditional celebrity. It’s easy to see how a fan might start to believe that they are entitled access to a YouTuber, no matter what the circumstances are. Traditional celebrities probably have to deal with obsessive fans all the time. In the realm of YouTube, this phenomenon is likely not new either, but the ways in which that that tension plays out in public has become more fraught recently. Earlier this year, YouTube star Christina Grimmie was fatally shot by an obsessive fan, leading to a change in policies at YouTuber-centric convention VidCon. “The explosive growth of the online celeb industry, combined with the shock of Grimmie’s death at the hands of what police described as a deranged fan, is forcing a reconsideration of what top YouTubers described as a freewheeling, if not naive, culture,” Buzzfeed reporter Claudia Rosenbaum wrote. “The trick for online celebrities now will be balancing new security concerns and interacting with fans to build their brand,” Rosenbaum continued. So, yeah. Don’t just walk up to your favorite YouTuber’s house. It’s not cool, man.